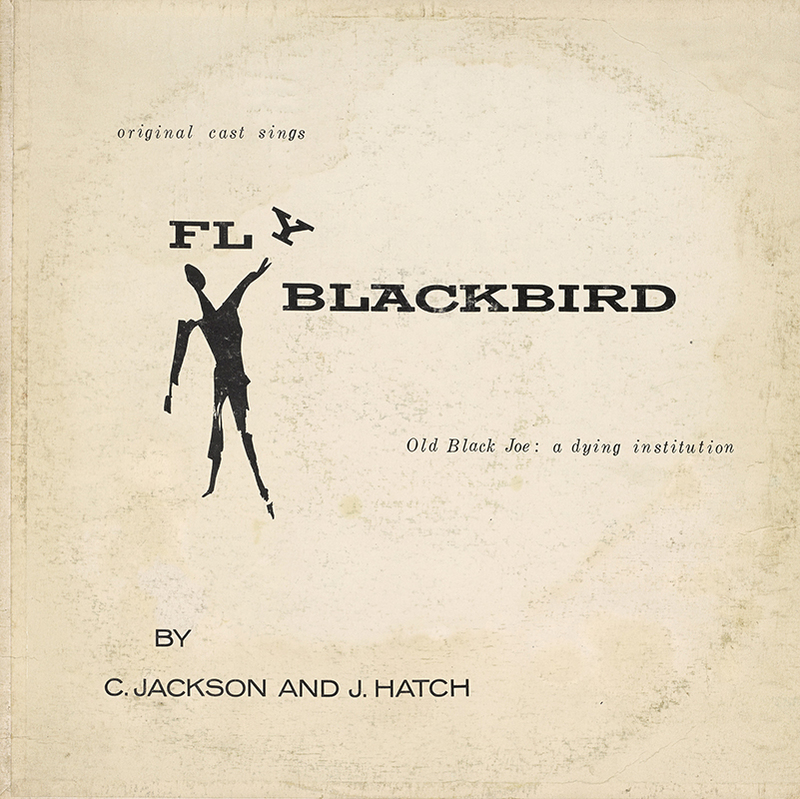 In 1960, James V. Hatch and his UCLA colleague C. Bernard Jackson, collaborated to write the civil rights musical Fly Blackbird. 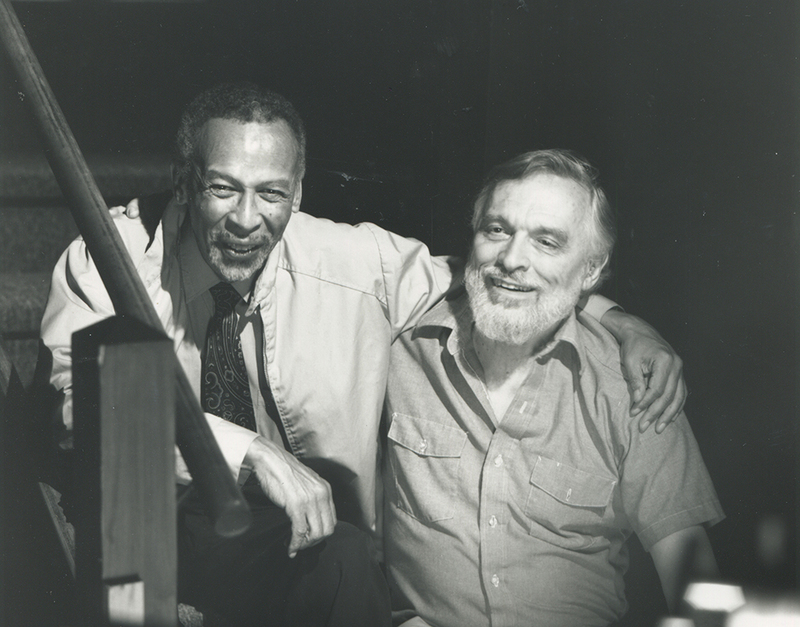 Inspired by the student ‘sit-ins” in Greensboro, North Carolina, the growing movement for civil and human rights, and the pursuit of justice for African Americans throughout the United States, the production reflected the times and the means by which they believed change would come to American society. 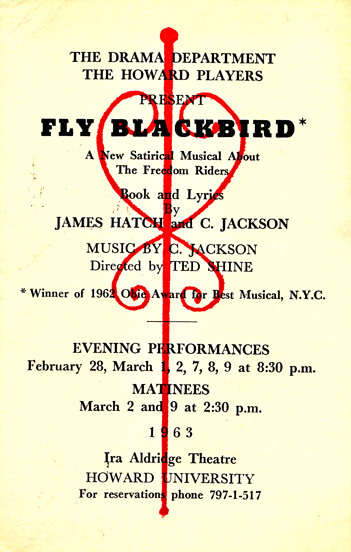 Opening at the Metropolitan Theater in Los Angeles in 1961, the multiracial cast and underlying message of the production challenged young people to stand up and use their voices to affect change. 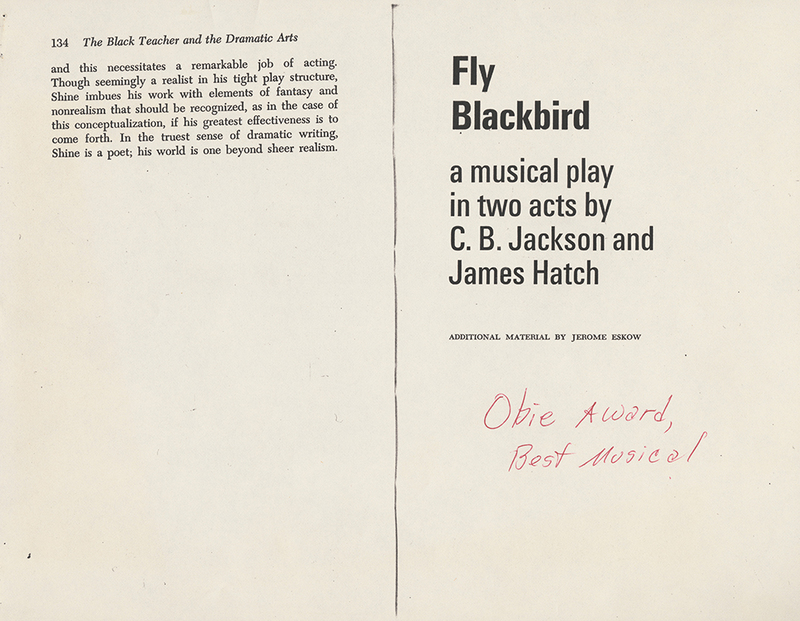 Fly Blackbird became a call to arms for students on the UCLA campus to join the movement.